Reuters has just reported that BlackBerry could come out with a phone loaded with -- wait for it -- the Android operating system later this year. Sources told the news outlet that this doesn't mean the end of BlackBerry 10, but it is a big move that signifies the Waterloo company's dwindling sales. Reuters also reports that one of the reasons for the move is that BlackBerry CEO John Chen is putting its bets on a device management system called BES12, which gives companies the ability to manage not just BlackBerry phones but also Android, iOS and Windows devices on their internal networks. Apparently BlackBerry might implement Google's mobile OS in the slider device that was teased at Mobile World Congress a few months ago, which means that this Android phone could launch this coming August. 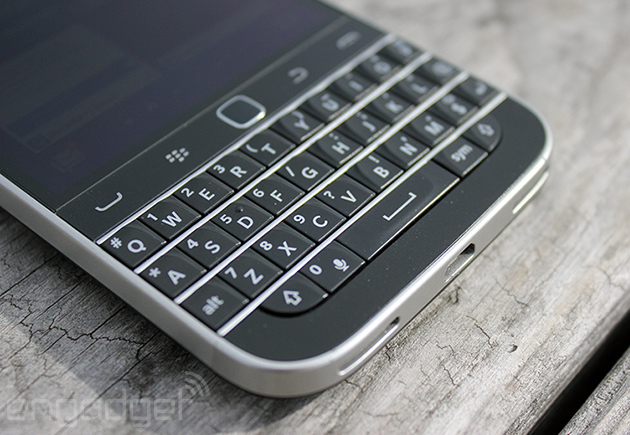 We're reaching out to both Google and BlackBerry for comment and will update this post if we get a response.